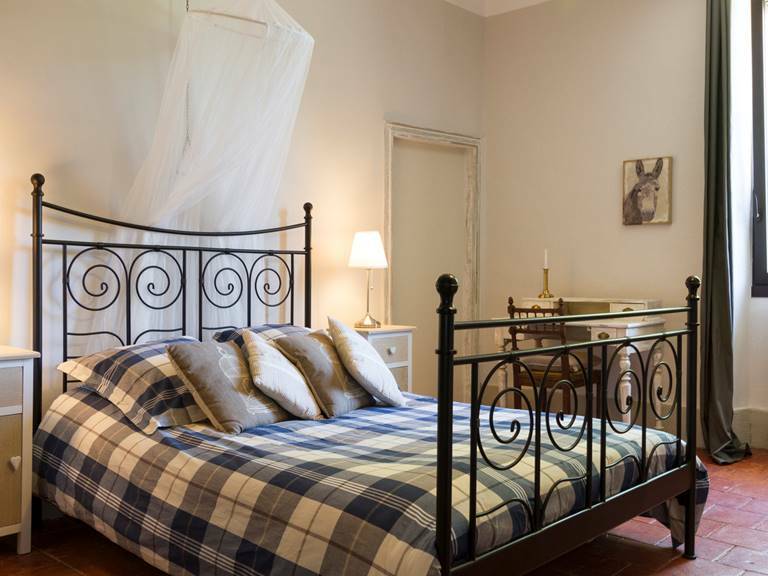 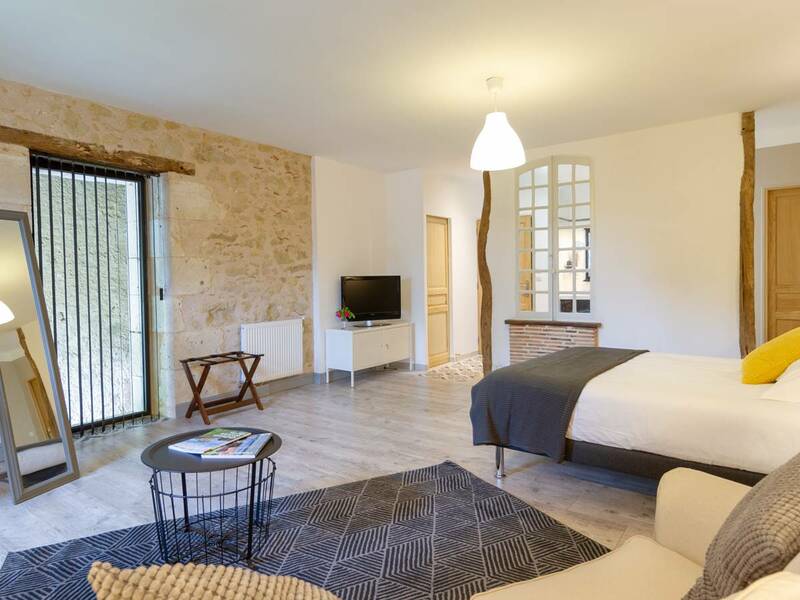 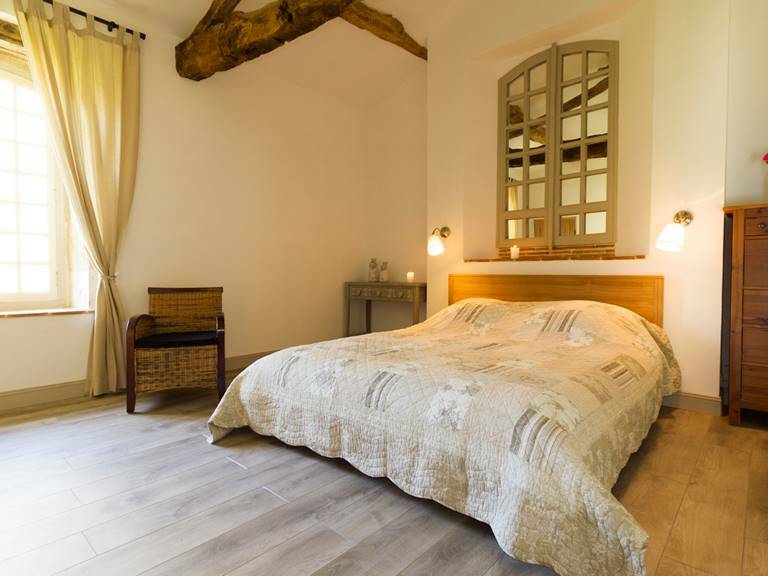 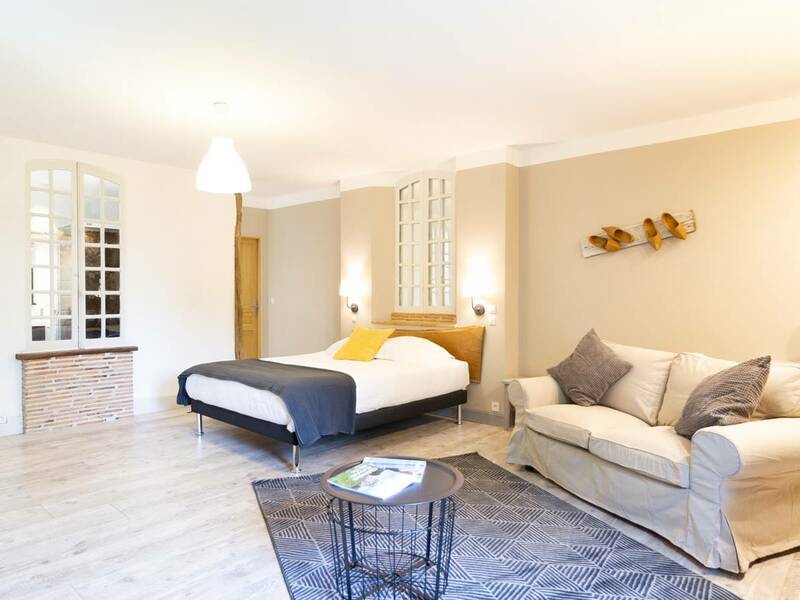 Large ensuite bedroom of 30 m2 in the body of building formerly used for storing crops, in the extension of the main house, which is accessed by a footbridge over the barn. 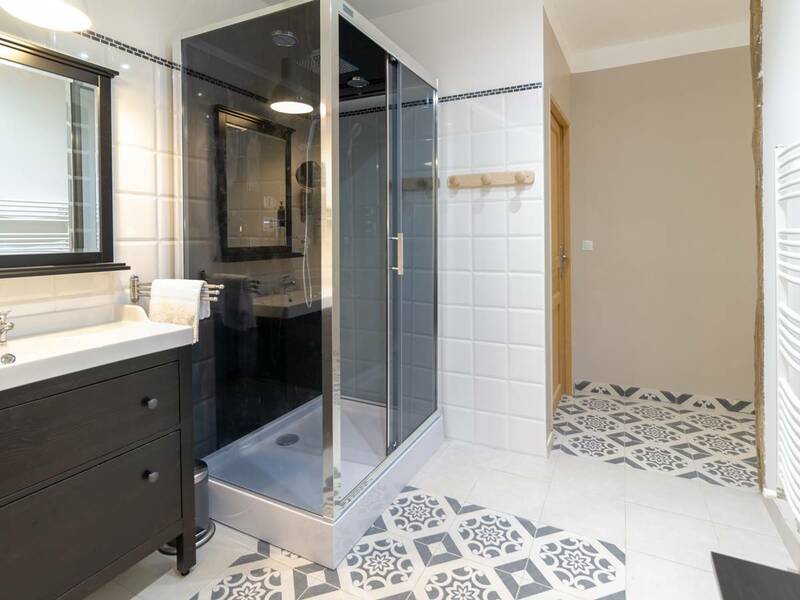 The suite has a shower room and a private toilet. 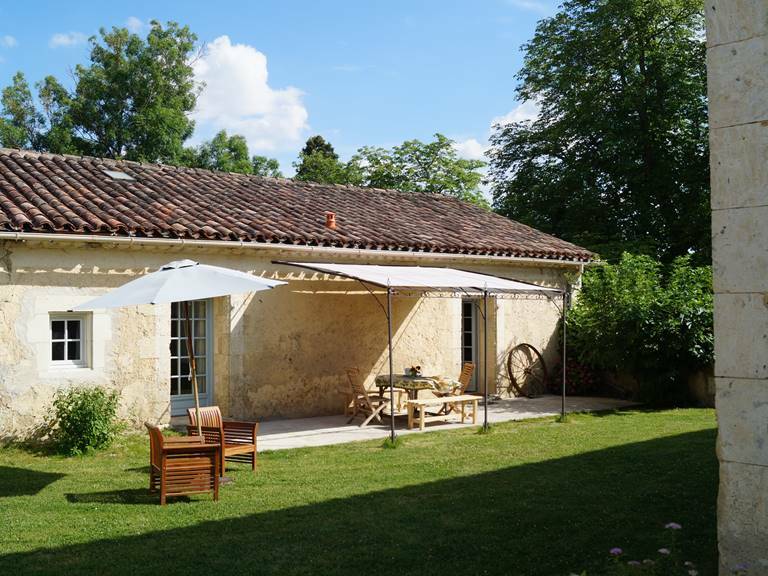 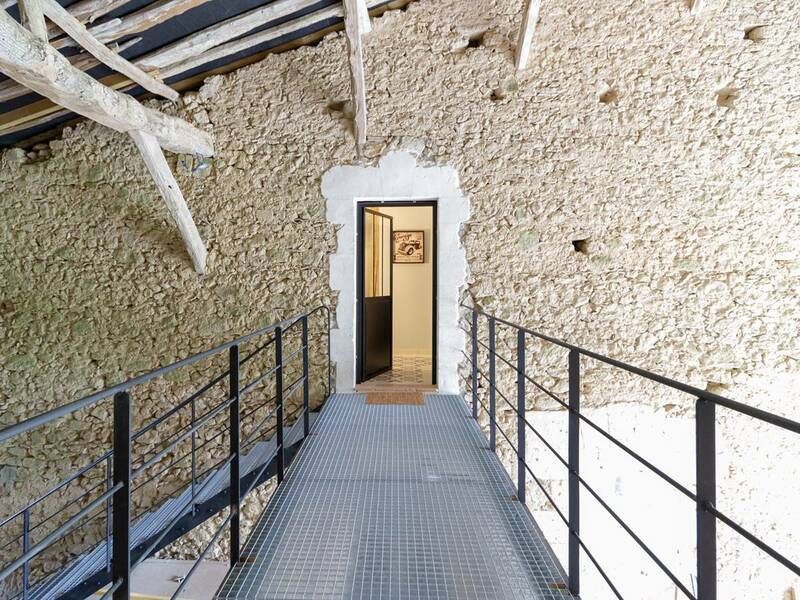 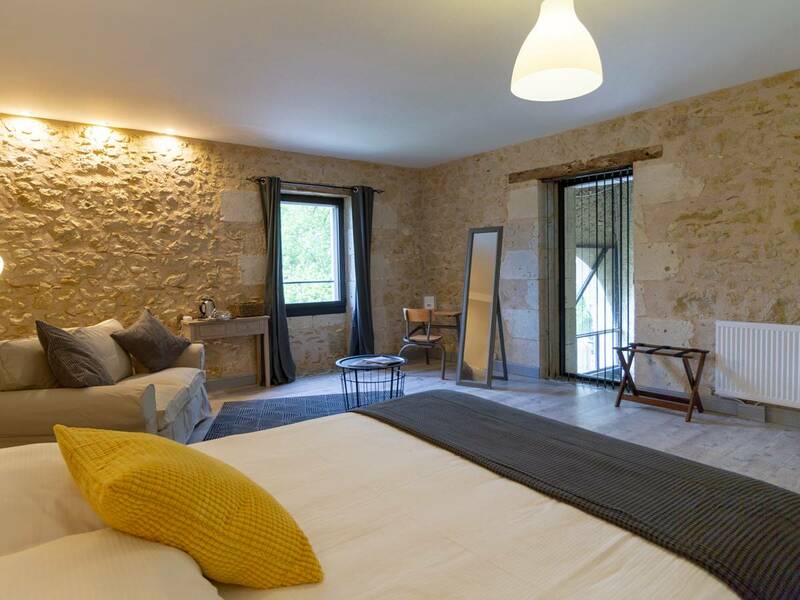 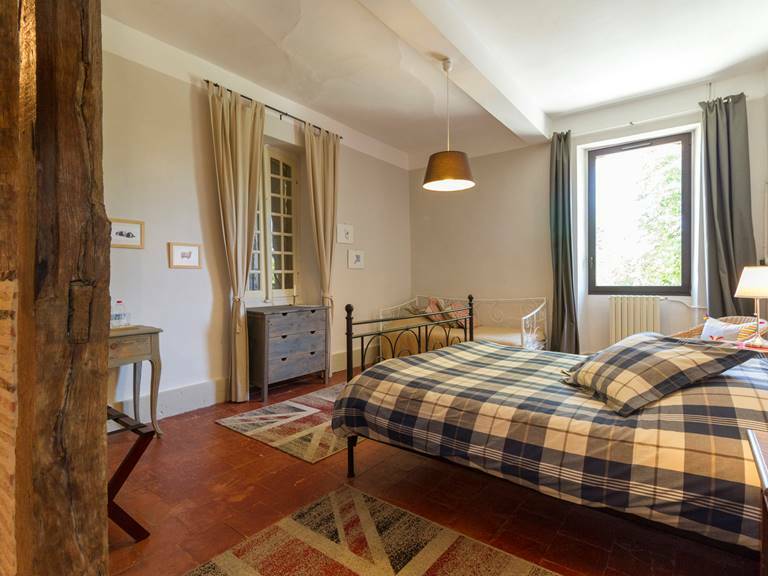 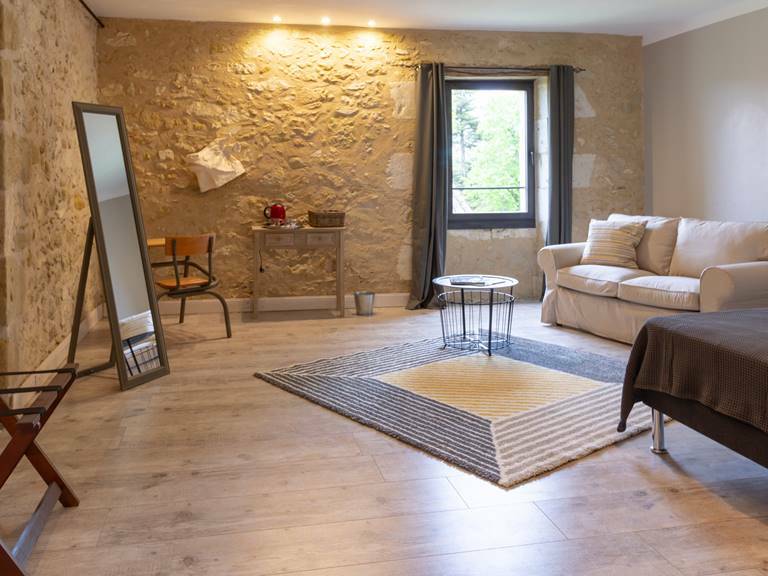 It's style, however, retains the soul of Gascony building, with stone walls but double glazed windows that gives it modernity and comfort.